Snack terapeutico que favorece la limpieza y el aliento de su mascota. Active substances & anti-inflammatory herbs to ensure the proper condition of oral cavity. 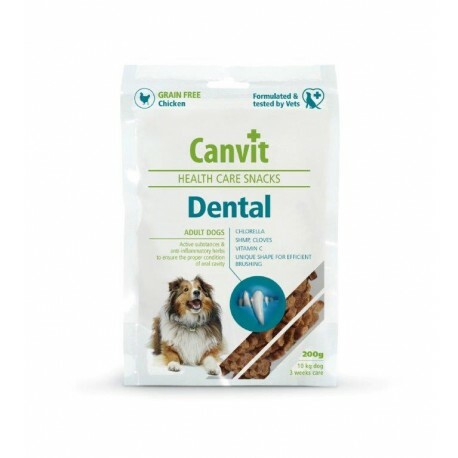 SEMI-MOIST FUNCTIONAL SNACK FOR ADULT & SENIOR DOGS TO PROVIDE EVERY -DAY DENTAL CARE. COMPLEMENTARY DOG FOOD. Composition: potatoes, chicken (15%), liquid starch, herring oil (5%), hydrolyzed chicken liver, collagen, chlorella (0,5%), sodium hexametaphosphate (0,2%), cloves (0,1%). 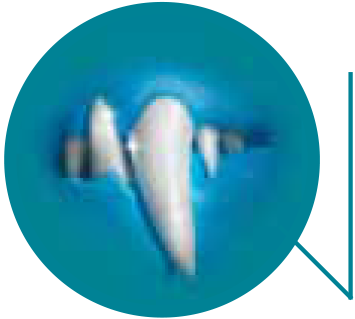 Analytical constituents: crude protein 16,0 %, fat content 7,5 %, moisture 17,0 %, crude ash 3,5 %, crude fibre 1,5 %. Nutritional addititves per 1 kg: vitamin C (E301) 600 mg.